This photograph was not taken with a RICOH THETA. 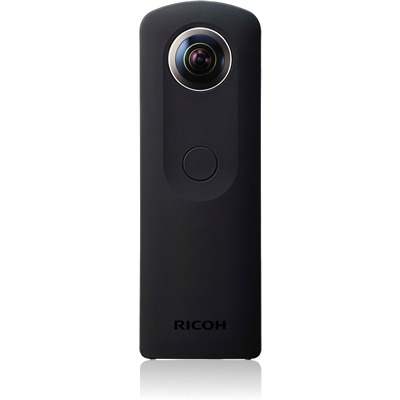 Launch of RICOH THETA Stand TM-1 on September 1. 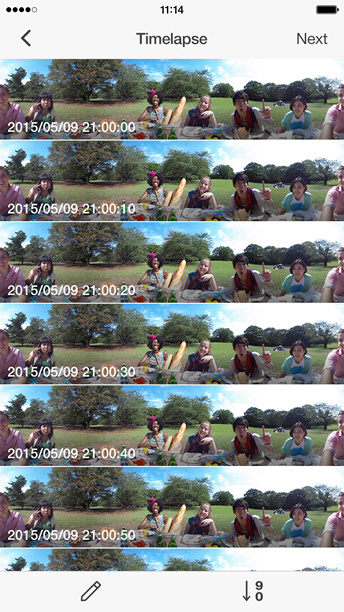 "THETA+ Video for Android" dedicated app that allows video editing is released. 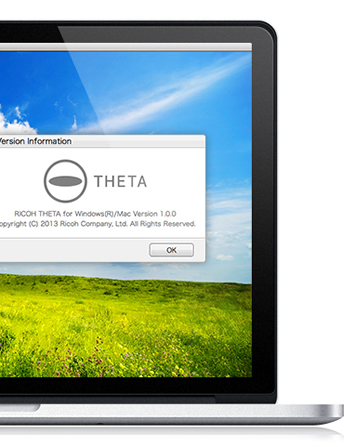 Extension Adapter TE-1 was released. 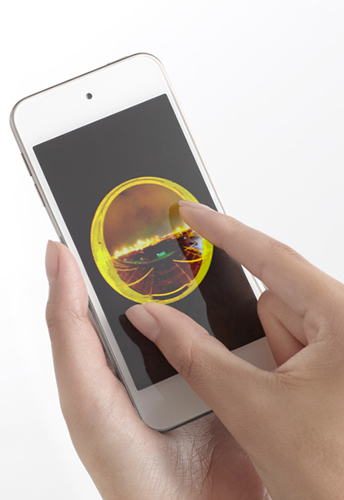 "THETA+ Video for iPhone" dedicated app that allows video editing was released. Thanks to dual 1/2.3" 12M CMOS sensor (output pixel count equivalent to 14M) and newly developed F2.0 lens, you can capture high resolution 360° world. ＊1 Data is recorded in full HD (1920 x 1080) resolution, but the resolution of spherical videos when viewed differs depending on the type of display or display magnification. L: 1920×1080/30fps M: 1280×720/15fps *The resolution and frame rate in Windows 7 is 1280×720 and 15fps. *1. A smartphone is required to change modes or configure manual settings. *2. The number of photos and time are guides only. The actual number differs according to the photography conditions. *3. Automatic shut down if the internal temperature increases. *4. Charge the battery by connecting it to a PC using the supplied USB cable. *5. 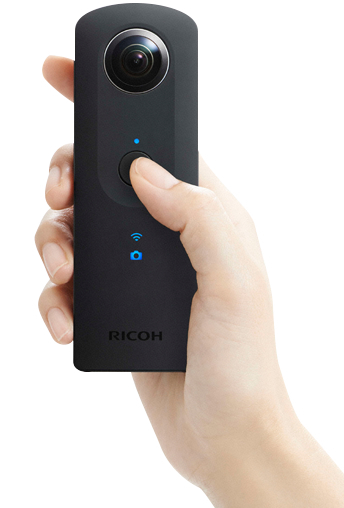 The number of photos that can be taken is a guide based on Ricoh's measurement method (wireless on, one photo taken every 30 seconds and transferred to smartphone). The actual number differs according to usage conditions. *7. Google Developers Web Site.